"West Gwillimbury Road Superintendent, Grenville Hughes, 68, resigned last week, after 14 years of service with the council staff. 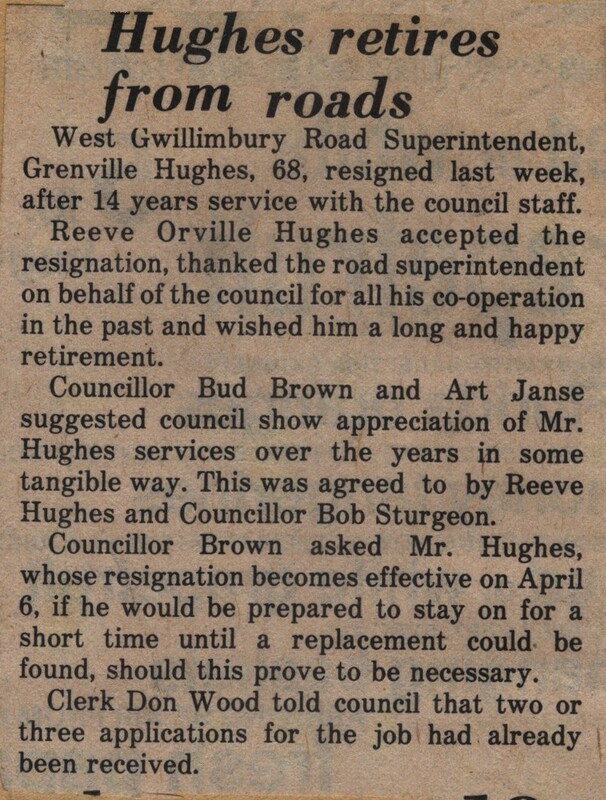 Reeve Orville Hughes accepted the resignation, thanked the road superintendent on behalf of the council for all his co-operation in the past and wished him a long and happy retirement. 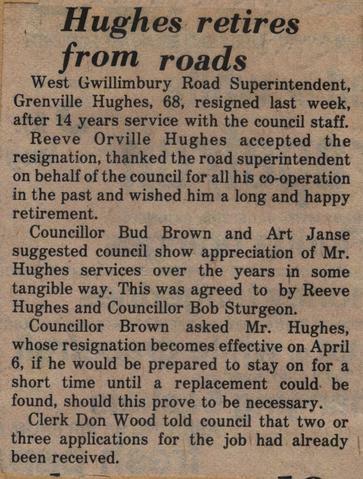 Councillor Bud Brown and Art Janse suggested council show appreciation of Mr. Hughes services over the years in some tangible way. This was agreed to by Reeve Hughes and Councillor Bob Sturgeon. Councillor Brown asked Mr. Hughes, whose resignation becomes effective on April 6, if he would be prepared to stay on for a short time until a replacement could be found, should this prove to be necessary. Clerk Don Wood told council that two or three applications for the job had already been received."